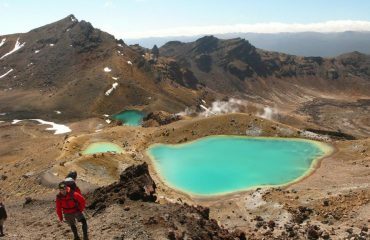 All about the Trekking in New Zealand. 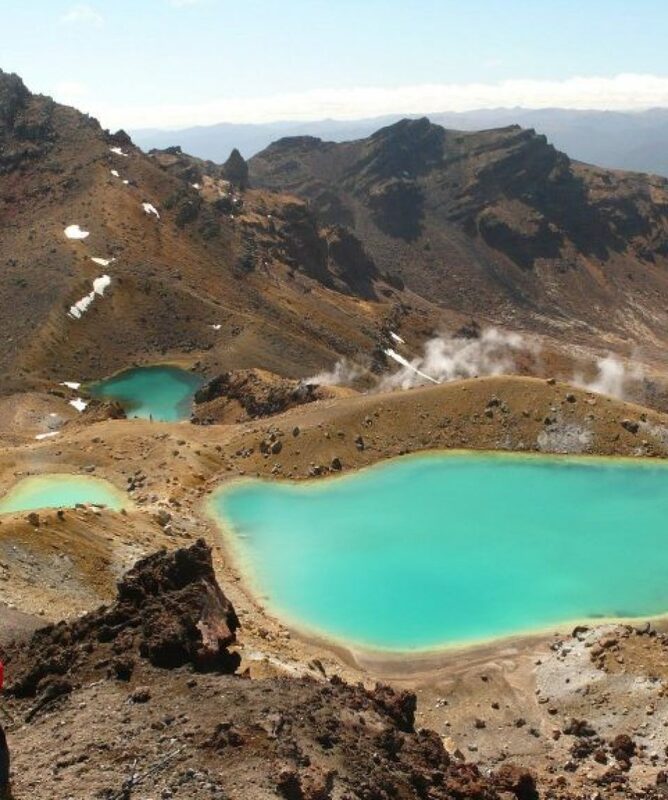 New Zealand epitomises contrasting scenery and culture and is an ideal country for adventure travel. 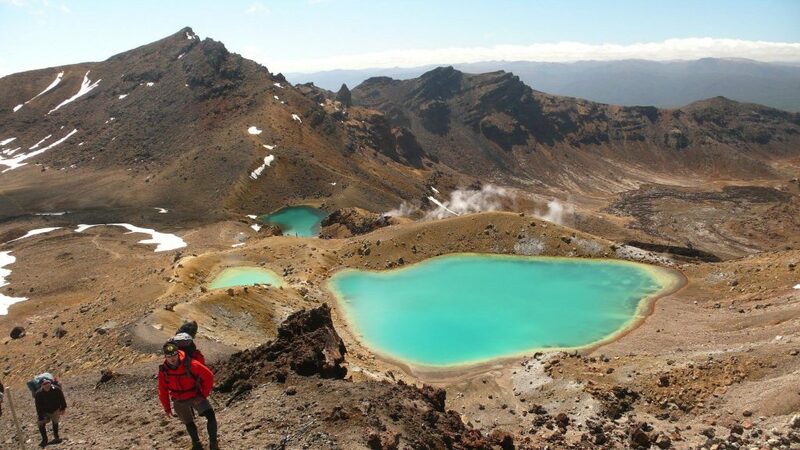 Explore both islands as you weave your way through New Zealand on this active trip, visiting all the main highlights and many off-the-beaten-track attractions. 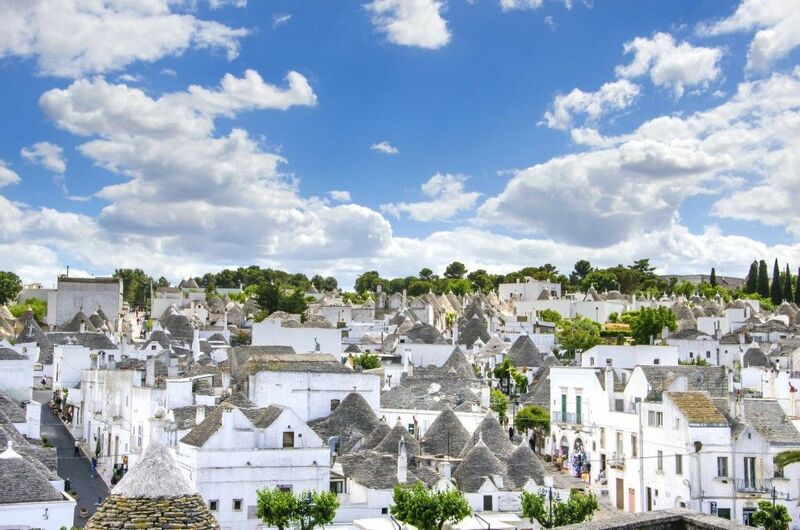 Maximise your time in out of the way places and yet still marvel at the iconic destinations. 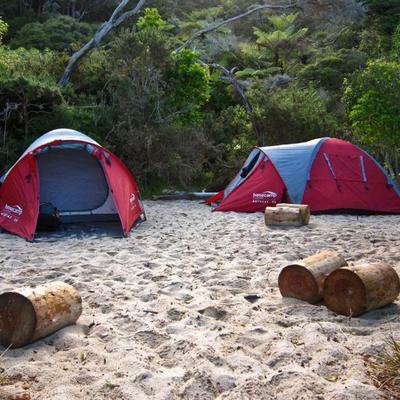 Enjoy true wilderness campsites followed by comfortable lodges. 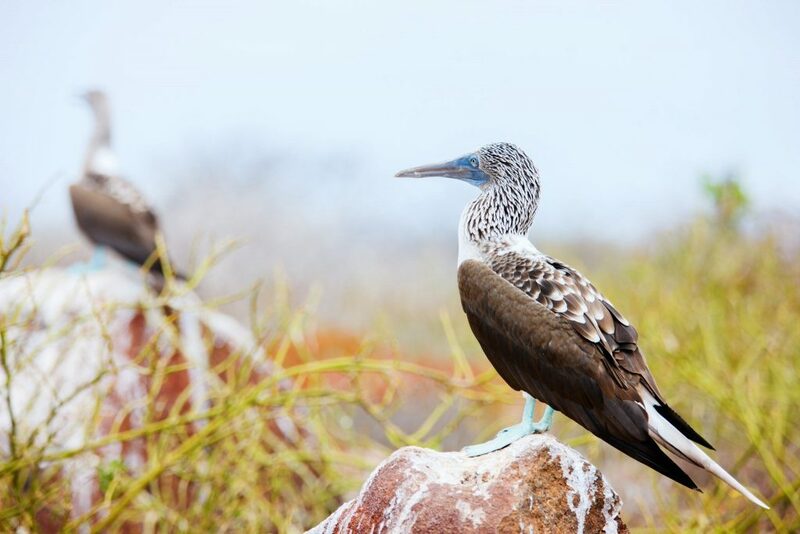 Trek through Jurassic-like rainforest, hike along a glacier, climb up volcanic peaks and enjoy fish and chips on the beach. It is this mix which makes New Zealand extraordinary – it is majestic but down to earth, otherworldly yet reassuringly familiar. 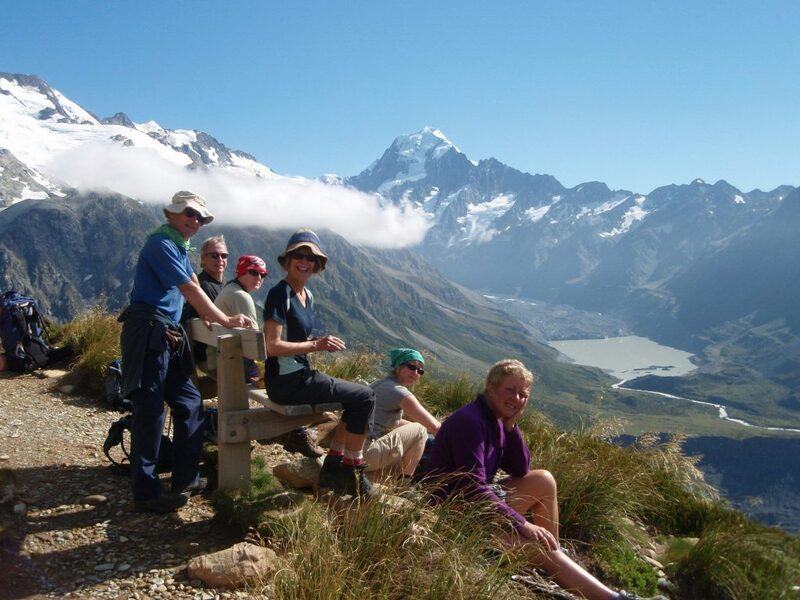 A range of activities and glacier walking (optional extra) complement the hikes superbly and keep this tour as diverse and exciting as the landscapes travelled! 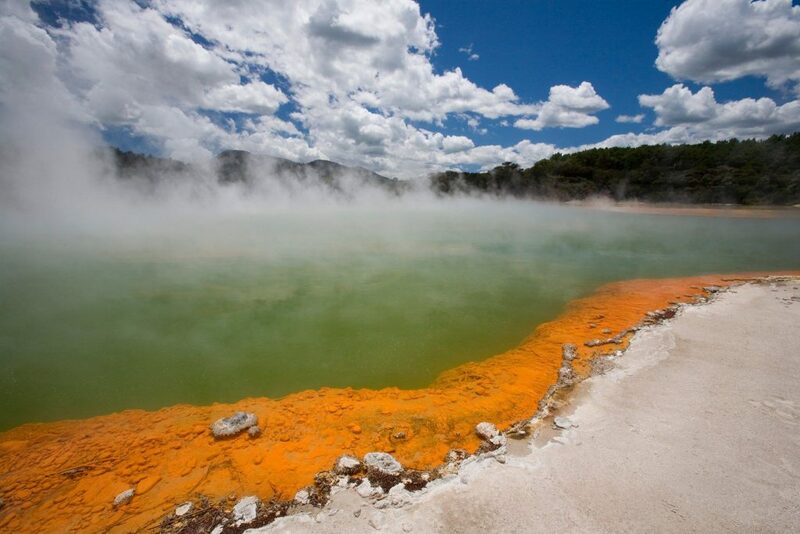 Seize the day with a morning dip in Lake Taupo before the short 1-hour drive around the shores to Tongariro National Park. 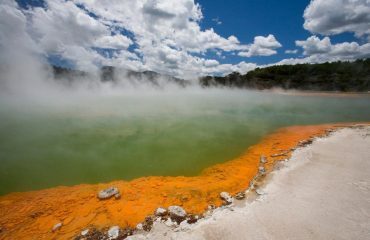 Established in 1887, it was New Zealand’s first National Park, gifted to the people of New Zealand by a Maori chief (Tukino Te Hue Hue) who saw this as a way of protecting the tapu (respect or sacredness) of the land – in particular the summits of the active volcanoes. 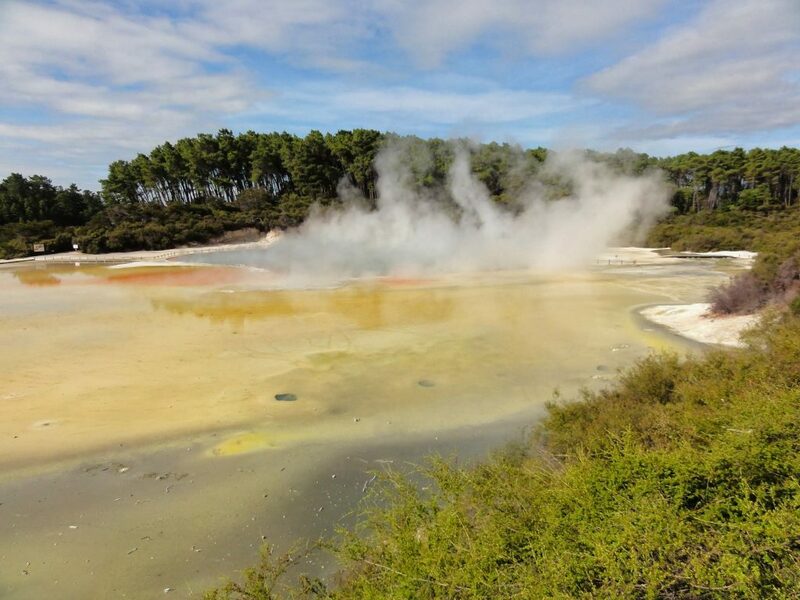 It is also a dual World Heritage Area, a status which recognises the park’s important Maori cultural and spiritual associations as well as its outstanding volcanic features. 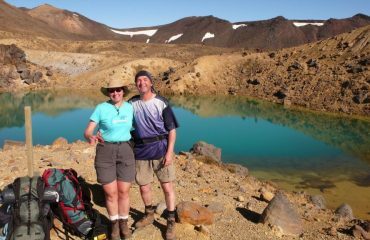 We hike through waving tussock-grasslands between the volcanoes to a hut set in an enclave of native beech forest. 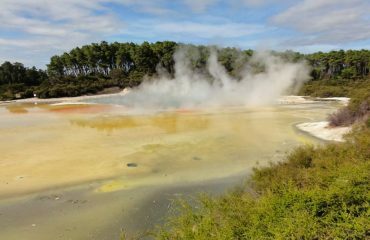 It was here that the great battles from Lord of the Rings were filmed. 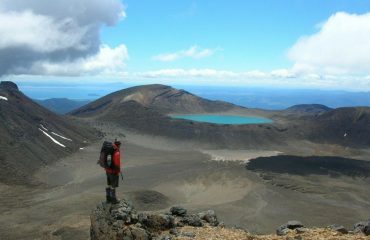 We then traverse up across stony deserts to an alpine hut perched on the toe of an old lava flow. 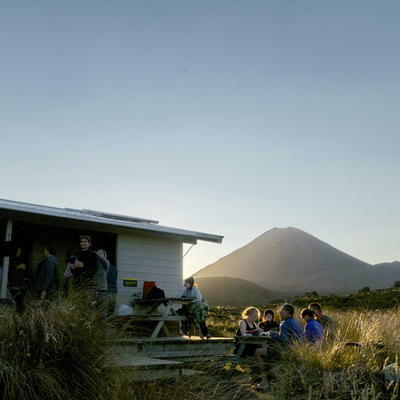 From this hut there are fantastic views of the three main volcanic peaks in the park. The sunrises here are spectacular. We generally stay in the huts but very occasionally camp nearby. Everyone in the group carries a bit of the group food and cooking equipment for the overnight hikes. Sometimes, usually for weather reasons, we may do this hike in reverse. Please note that whilst the hut here is very basic (see accommodation notes), there are usually hikers from all over the world that contributes to a real community atmosphere to the place. 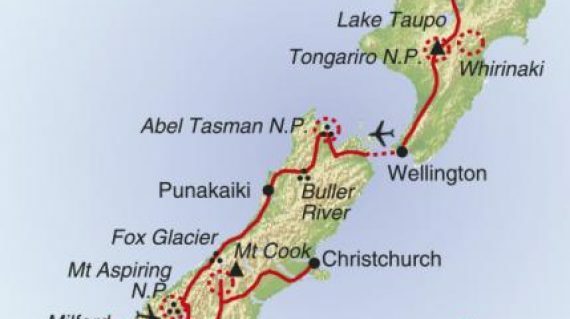 This morning we drive to Wellington, arriving in the early afternoon. Wellington is New Zealand’s wonderful harbour capital. The giant fault-created harbour almost encircled by steep suburbs gives it a giant coliseum feel. 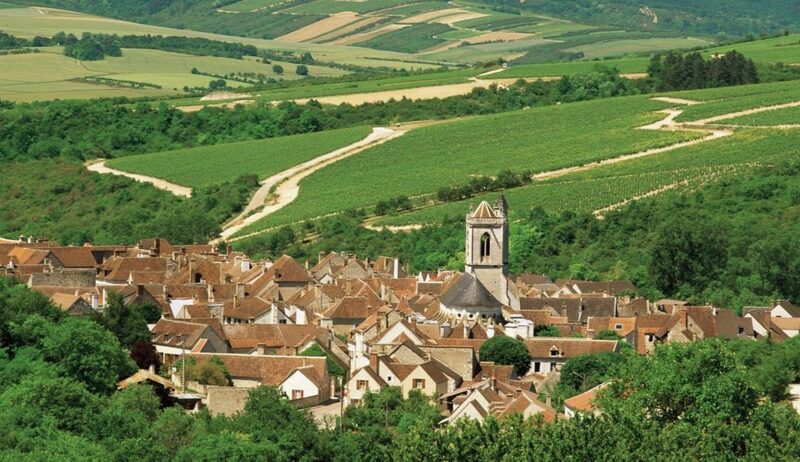 You have free time to enjoy walking around the central city and absorb the lively atmosphere. Wellington is well known for its vibrant café, art and culture scenes. There is no shortage of places to have a coffee or a drink – with more bars, cafes and restaurants per capita than New York. You may like to visit the museum of New Zealand, called Te Papa, or the beehive (Parliament House). 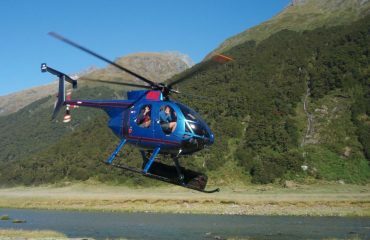 We transfer to Wellington airport for the short flight across the Cook Strait to the South Island. 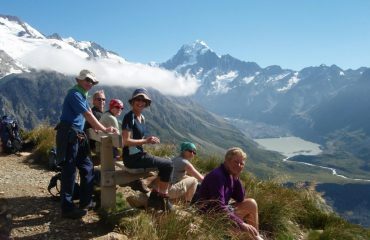 Here we meet our South Island-based guide. 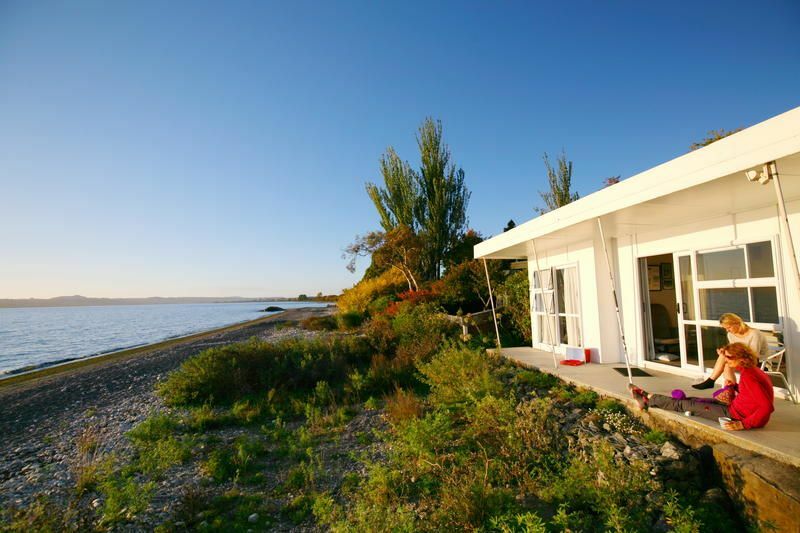 A pleasant drive through the orchards and vineyards of Nelson Bay takes us to Kaiteriteri, a popular holiday spot for kiwis and a gateway into Abel Tasman National Park. 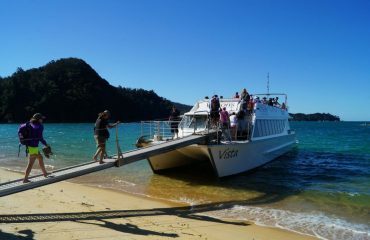 Abel Tasman’s wilderness flows unhindered to a coast of golden beaches and granite headlands; there are no roads here – just boat and walking access. We hail a water taxi to reach the lovely Onetahuti Beach in the heart of the park. From here we start our hike on the famed coastal track and hike through to our tranquil campsite at Bark Bay. A great spot to gaze at the stars before falling asleep to the sounds of the ocean. 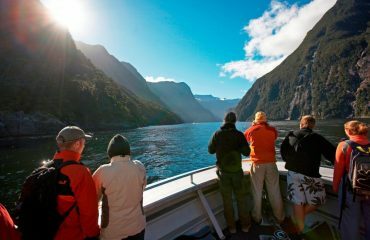 We head into Fiordland National Park – World Heritage Area, the largest National Park in New Zealand. The huge glacial lakes of Te Anau and Manapouri are the border of Fiordland’s dramatic inland coast. 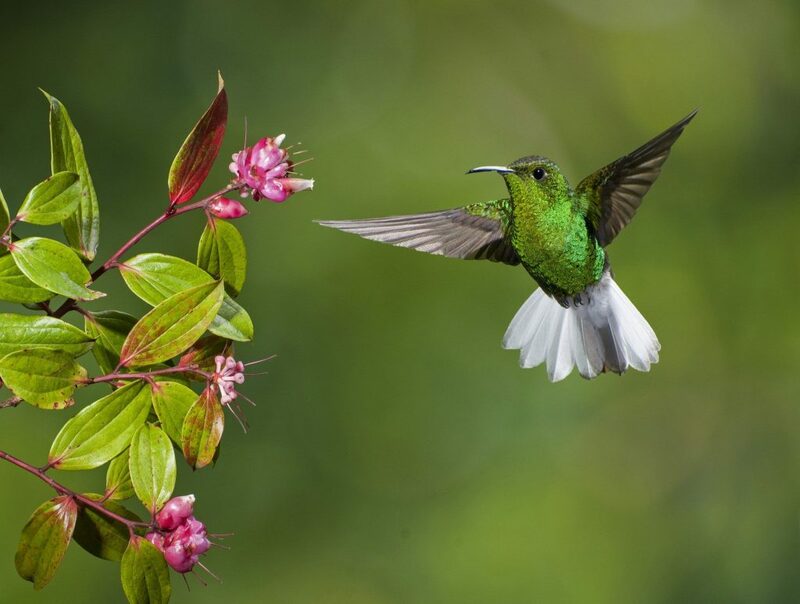 The area is dominated by water, either in the form of lakes, ocean fiords or as falling rain – which has enabled the establishment of temperate rainforest. 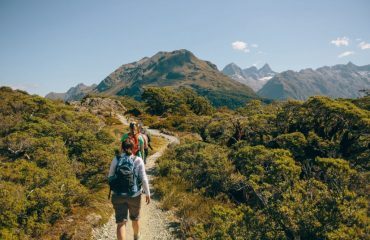 We hike on the Kepler track, firstly around the lake shore before climbing gently up through the forest and limestone outcrops to the bush-line. 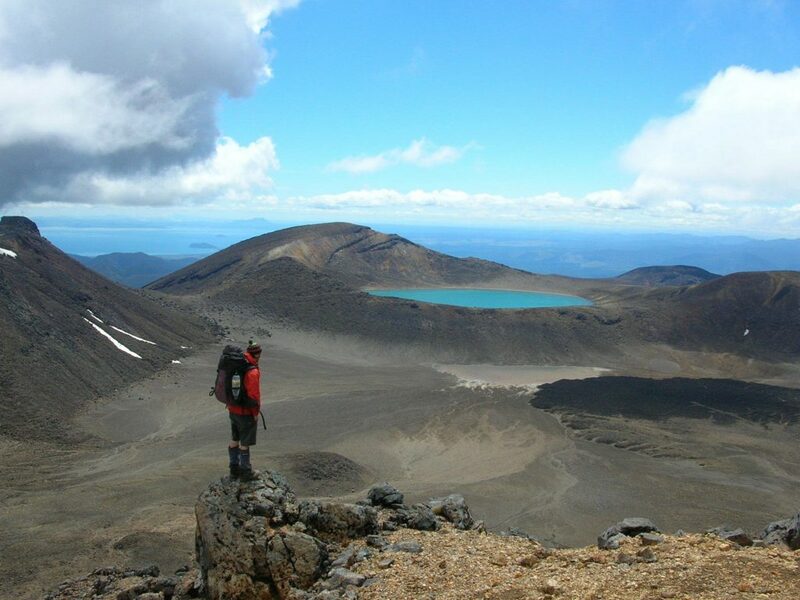 From these broad tussock tops you are rewarded with the sweeping views of the Fiordland wilderness including the Murchison and Kepler mountains and Lakes Te Anau and Manapouri. 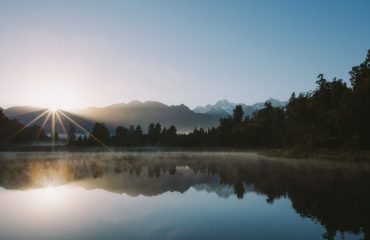 Descend back to the lake and catch a water taxi across Te Anau. We base ourselves in Te Anau for the next two nights. 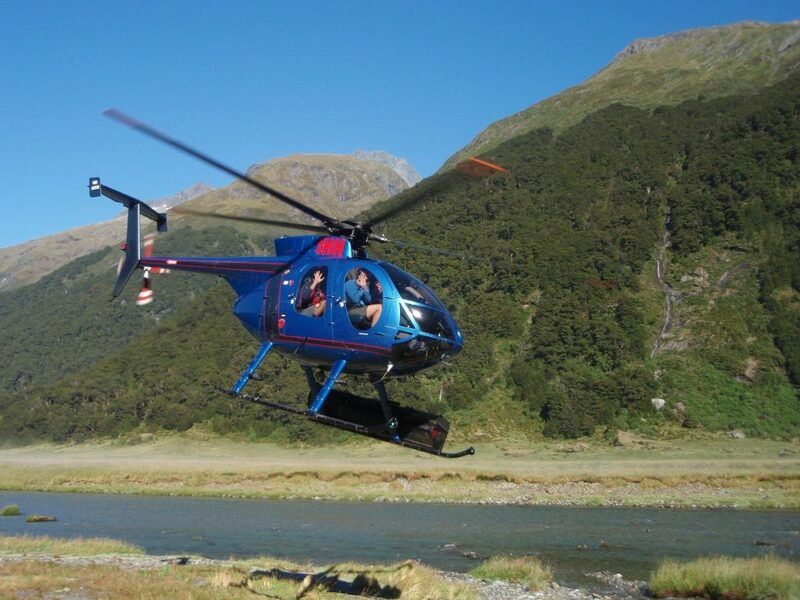 An ideal base to explore and experience Fiordland National Park. Optional 2 hour boat cruiseWe rise early and drive through the Homer Tunnel and down to Milford Sound itself. Here we have the option to take a cruise on the fjord with its cascading waterfalls and views of Mitre Peak (1722m). Fiordland crested penguins and New Zealand fur seals often play near the boat. 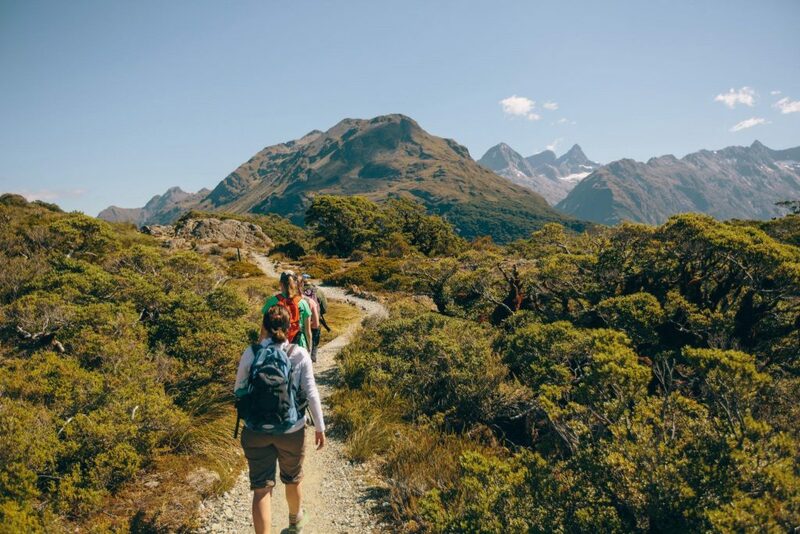 An afternoon hike takes us up to Key Summit (the tail end of the renowned Routeburn track) for fantastic views across the gneiss and granite Darran Mountains. 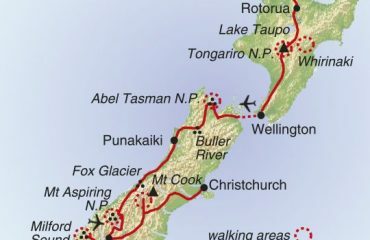 After the hike return to Te Anau via the splendid Eglinton Valley, one of the only road accessible valleys in Fiordland National Park. 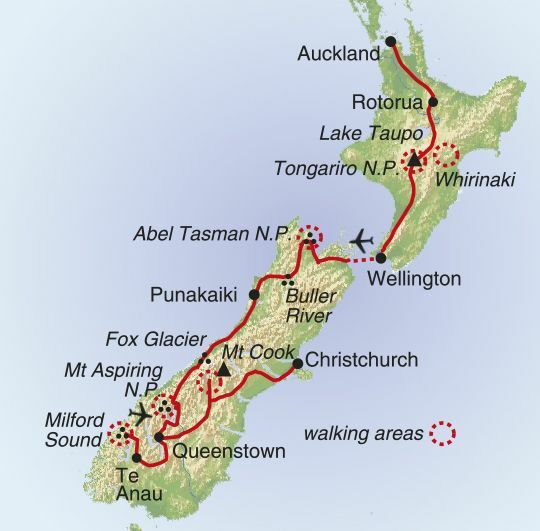 Time for one final hike this morning, as we explore the nearby Tasman Valley, a stunning area of alpine vistas, lakes and glacial morraines. Leaving Mt Cook we continue north through the MacKenzie country, taking a break at Lake Tekapo – aqua blue waters framed by the Southern Alps. 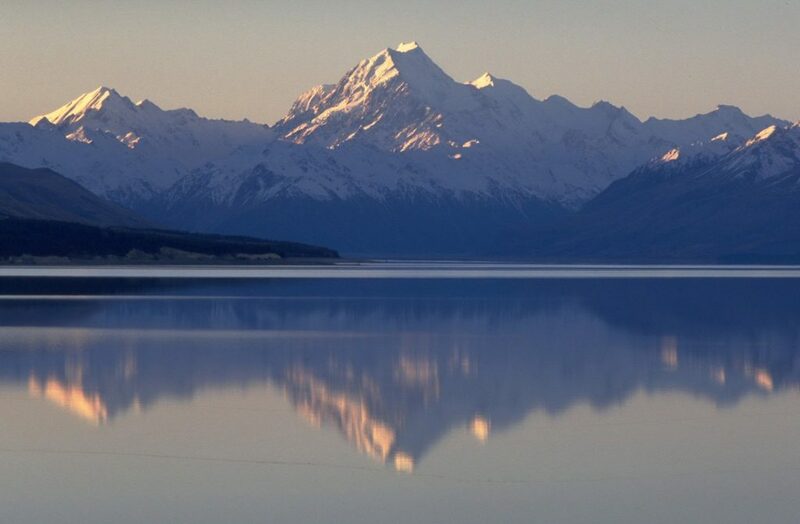 Tekapo is filled by glacially fed rivers which deposit tons of glacial flour (finely ground rock) into the lake; this flour is so fine that it is suspended in the water and refracts the light giving the lake a stunning colour. 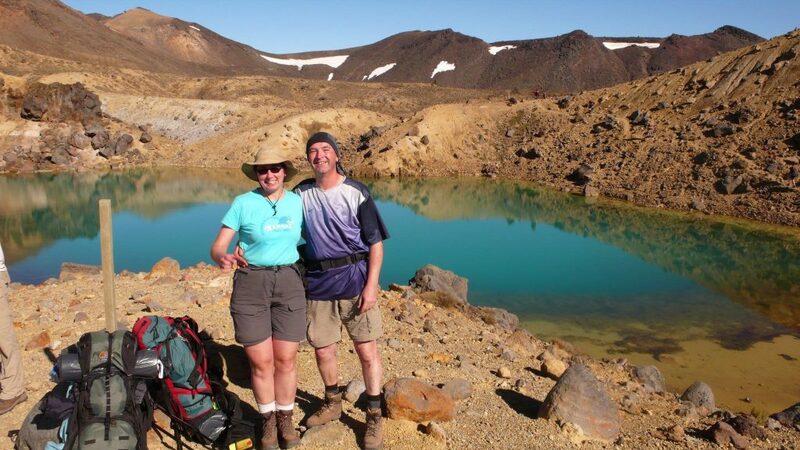 After crossing the Canterbury plains we arrive in Christchurch in the mid afternoon, and here the trip concludes after 3 weeks of hiking through volcanoes, thermal wonderlands, rainforests, glaciers and remote mountain valleys.